Abdominoplasty, also known as a tummy tuck, is perfect for our Minneapolis-area patients with excess fat and skin around their midsection that has not responded to exercise or diet. Vertical muscles in the abdomen can separate and cause a noticeable bulge in the midsection; this happens most frequently to women after childbirth. It is important that prospective patients understand that a tummy tuck procedure is not intended as a weight-loss option, though in some cases it may be combined with liposuction to remove even more excess fat. If you have any questions about the abdominoplasty (tummy tuck) procedure performed by Dr. Brian Kobienia, a Minneapolis-area cosmetic surgeon, please contact our office today to schedule a private consultation. Dr. Kobienia goes over the tummy tuck or abdominoplasty procedure. He discusses how this treatment can remove excess skin and tighten up underlying musculature. This procedure can be combined with a breast enhancement surgery for a mommy makeover treatment. The versatility of the tummy tuck procedure allows for two distinct variations of the abdominoplasty surgery, each meeting the specific needs of two types of patients. During a full, or traditional, tummy tuck, Minneapolis-area surgeon Dr. Kobienia makes incisions across the lower part of the abdomen, as well as an incision around the belly button. These incisions allow him to access the abdominal muscles and to free the navel from the surrounding tissue. The muscles are tightened, excess skin is removed, and a new location for the navel is created and stitched into place. Finally, the abdominal incision is closed with sutures. The traditional abdominoplasty procedure performed by Dr. Kobienia is done as an outpatient procedure, which allows patients to return home the same day as their surgery. A mini tummy tuck is typically performed for our Minneapolis-area patients who only need to remove a small amount of abdominal fat and skin. While a full tummy tuck tightens abdominal musculature, the mini tummy tuck does not. Mini abdominoplasty is much less invasive than a full tummy tuck, as it requires a far smaller incision and does not necessitate the cutting of the navel area. Like the full tummy tuck, a mini abdominoplasty is performed as an outpatient procedure. While massive weight loss through dieting or bariatric surgery can have extremely positive effects on one's health, the rapid loss of fat tissue can leave skin overstretched and sagging. Even with the weight loss, patients can still remain insecure about their body because of the displeasing appearance of their loose skin. With abdominoplasty, however, those who have worked so hard to lose and keep off significant amounts of fat can finally fully enjoy their new physique. As sagging skin around the abdominal area is a common byproduct of massive weight loss, a tummy tuck can help patients attain a figure that truly shows off the positive effects of weight loss. Following massive weight loss, the abdominoplasty procedure can be combined with an arm or thigh lift to eliminate other areas that may show saggy, overstretched skin. Many women who have recently given birth must endure stretched vertical abdominal muscles and skin in addition to stretched or saggy breast and thigh tissue. While mommy makeovers often include a breast augmentation (to correct breast involution after breast feeding) and a breast lift, tummy tucks are also a major part of this wonderful and rejuvenating set of procedures. With an abdominoplasty, mothers can improve the appearance of their abdominal area by eliminating the loose, saggy skin and stretched muscles that may have developed during pregnancy. For the first three to five days after tummy tuck surgery, patients are generally given strong to moderate pain medication and advised to stay at home. They will not be able to drive during this period. Gradually, patients will be able to begin mild exercise but may be instructed to wear an elastic binder for the first several weeks as well. A good tummy tuck candidate is someone who is, at the time of the procedure, is at their ideal body weight; acceptable patients are within 10 to 15 pounds of their ideal body weight. Their weight should have remained relatively constant for at least a few months prior to the abdominoplasty; average to above-average skin elasticity is preferred. Most importantly, ideal candidates for the tummy tuck procedure should understand the benefits, risks, and limitations of the surgery; accordingly, they must hold realistic expectation for the procedure. Abdominoplasty is not recommended for patients who intend to lose more weight, or for women who intend to become pregnant in the future. Dr. Kobienia can help you determine whether or not you are a good candidate for a tummy tuck. 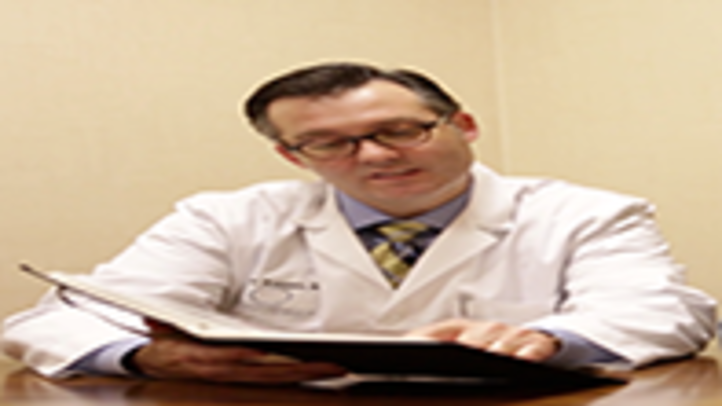 Please contact our Minneapolis plastic surgery practice to schedule a consultation. The results of undergoing tummy tuck surgery (abdominoplasty) at Dr. Kobienia's Minneapolis-area cosmetic surgery practice can be extremely satisfying. Dr. Kobienia possesses extensive experience performing abdominoplasty, and has helped hundreds of satisfied patients obtain transformed abdominal areas. To learn more about tummy tucks, please contact our office today to schedule a private consultation.